On this day in 1972, the Los Angeles Lakers set an NBA record by wining 69 of their 82 games. On this day in 1993, Red McCombs sold the San Antonio Spurs to a group of investors for $75 million. As of 2014 the team is worth $660 million, according to Forbes. On this day in 1996, Seattle SuperSonics point guard Gary Payton became the ninth player in NBA history to record 2,000 career steals. 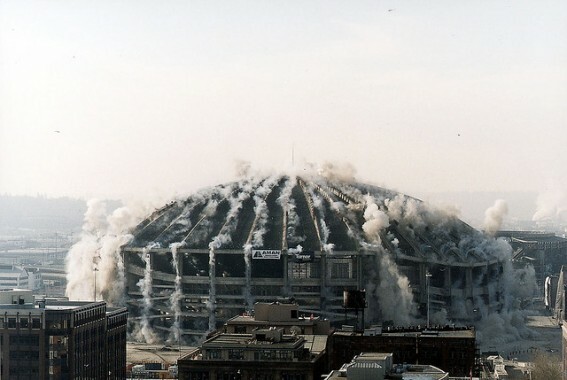 On this day in 2000, the Kingdome was demolished using 5,800 holes filled with gelatin dynamite and 21.6 miles of detonation cord. The Kingdome was the Seattle Mariners home from 1977 to 1999.